When the offset sublimation ink pile ink, how to solve this problem? There are many reasons when the offset sublimation ink pile ink. The main reason is the ink granula is too thick, poor liquidity. 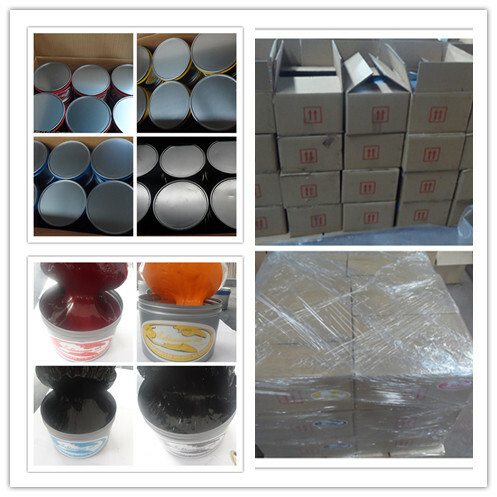 Henan Zhongliqi offset sublimation ink’s granula is below 3um with good liquidity. Our sublimation ink is eco-friendly. We also passed SGS, DGM, MSDS, CANS, ect. Our offset sublimation ink without any harm to the skin. For Henan Zhongliqi Litho/Dye Sublimation offset ink, first transfer ink into paper with the offset press/machine, then transfer the ink from paper into fabric with the transfer machine (transfer time 10-30 seconds, transfer temperature 180-220 degree). Our Litho/Offset dye sublimation ink is very good breathable, washable and light fastness. We are professional manufacture for sublimation inks in China. We supply offset/Litho dye sublimation ink, silk-screen sublimation ink and rotogravure sublimation ink. We have been in this filed for over 10 years. We are professional and reliable supplier! Sincerely wish we could cooperate with you!